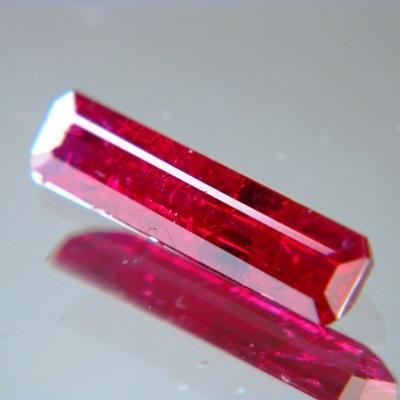 Comment: Probably the most uncommon ruby in the market. With 1.5 cm length (half an inch). 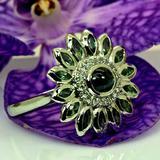 Its shape sure limits its use in jewelry to a pendant but imagine the sight! 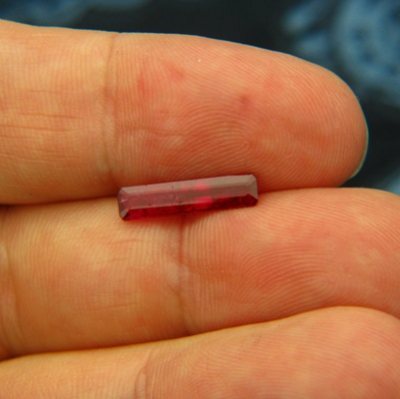 With 1.61 carat it is actually pretty big for unheated ruby and with 5k/carat nowhere near expensive. 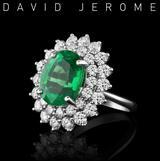 While its inclusions are hardly visible to the unaided eye the stone contains a mirage of swirly internal structures. These inclusions plus its uncommonly strong fluorescense make it look like a magic red sword in the dark (see big images). The color is fresh red-red spot on and there is little to wish about it, no purple, no brown, no pink, no violet - just red. Once in a lifetime opportunity even amongst already rare and unique rubies. Imagine it in a simple pendant! What a unique piece.